Six months ago at the Spring Equinox, the light of Aries began a new cycle of individual expression. Three months later, at Cancer’s Summer Solstice, the Sun’s waning light impelled many to pull away from their personal pursuits to find a base of comfort in their environment. Now, at the Fall Equinox, the Sun enters Libra and the “other half of the year”. Here, the sense of “solar self” is dimming with the darkening light, and it is time for all of Nature’s creatures to reach out and relate to the other world, that exists outside themselves! In this serene autumn light, it is time to analyze the view from both sides—so that life can discover ways to understand (Libra), transform (Scorpio) and become One (Sagittarius) with Nature’s divine process of creation. With these three steps of integration, Nature’s creative cycle of light is completed. With this, the process can begin the new creative revolution—that begins with the coming New Year of building light. Here, as the Sun enters its opposing point to Aries, the Cardinal Air of Libra takes us away from the self-centered (Sun lite) view of the Ram. It is now time to interact and share one’s ideas with others. This will inspire individuals to seek partners and co-creators to help them complete their personal creative ventures. It is this sharing of ideas that brings the future growth to prepare life for the Nature’s equinoctial dance in the Spring. It will be your Libra friends who will use their mental scales to help you to keep your relationships in balance. 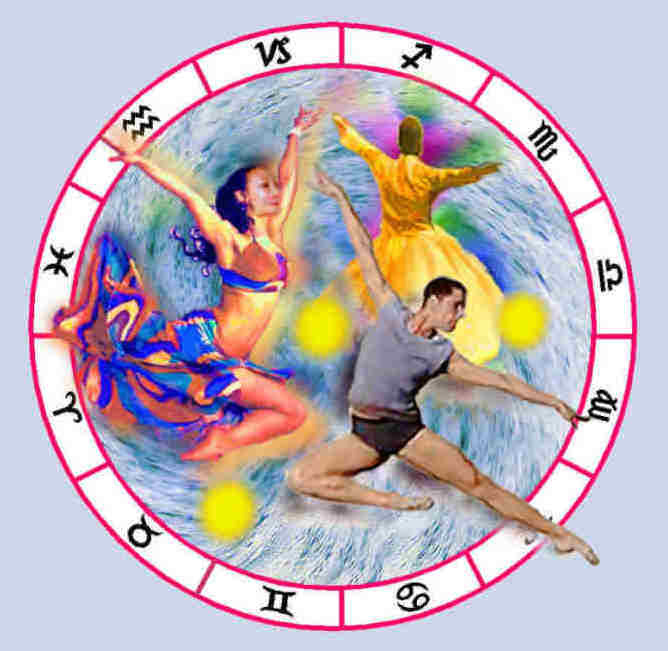 So, pick a person with a Libra Sun to run your Human Resources Department, for he or she will make the choices that will help you form a harmonious and balanced creative team. It is this “working from both sides” that forms the common census, that enables people to work together. Interestingly, there is one drawback. Just when agreement seems imminent in any conversation, these justice-driven souls will often shift to the other side—to promote the views of the current underdog! This makes some Libras appear indecisive and seemingly incapable of taking any action. However, you must remember that this team director is trying to balance the forces and resources, so that they will be fair to all who contribute to your project. After all, they believe that this is what makes great organizations grow. And they are right! Libra represents the point where the spirit of individual consciousness (Aries) is driven by other forces, to be clothed in the “mind-formed” creations of evolving matter. This concept is symbolized in the Goddess Venus and in the same-named planet that rules or governs the signs of Taurus and Libra. In feminine Taurus, our senses interpret the raw physical world by defining what we personally see, hear, smell and touch. In Venus’s masculine expression, these sensual interpretations are expanded and brought into more purposeful and beautiful forms by the selective mental choices of Libra’s Cardinal Air. 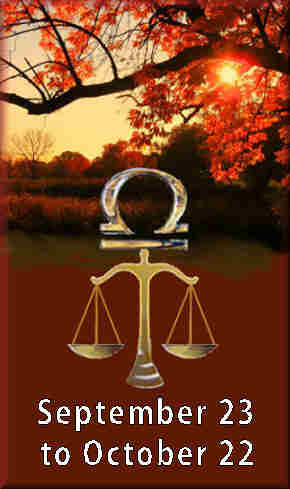 Libra also governs the justice system, fine arts and beauty products. Being that the Equinox is the midpoint between Summer and Winter, it is appropriate that Libra rules the midpoint of the body. It also rules the kidneys– the organ that refines the essential sustaining materials for the body as it separates them from the useless waste. 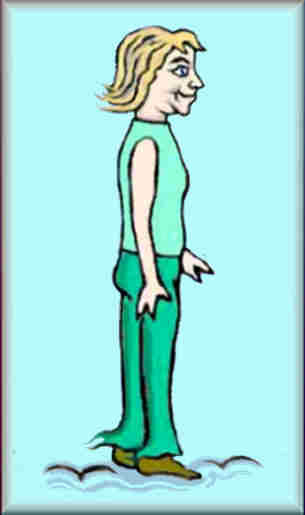 This midsection rulership gives Libra Sun Signs an erect body posture, kept in vertical balance by the hands that weight and teeter from side to side. The Libra Sun celebrities below reveal the common physical traits of Libra. Note the horizontal eyebrows and wide-set almond eyes. The most recognized feature is the wide spread V-shaped smile with its distinguished cherub dimples. Naturally, the different components in the charts of these celebrities explains the variances in their personalities, their appearances and the manner in which they do their specialized Equinoctial Dance. Hugh Jackman is known for his musical talent (Les Miserables) and for his roles in the Woverine movies. The elegance and charm comes from his Libra Sun. The “darker aura of intensity” come from his Sun’s ruler Venus‘s placement in Scorpio, and its’ sextile to Scorpio’s ruler Pluto. His chatty and mercuric reactions are a product of his Gemini Moon. James Caviezel is known for his brutal performances in Passion of the Christ and the TV show Person of Interest. He has Scorpio rising and his athletic nature is inspired by his Sagittarius Moon. James shows an incredible amount of serenity in the most tense of situations and his charming smile readily appears when the action ends. Snoop Dogg (now know as Snoop Lion) has a Taurus Ascendant and Scorpio Moon. These determined fixed signs account for his tough gansta demeanor, but it was his Sun’s calmer lyrical aesthetic that gave him the relatively soft vocal delivery that made his brand of rap music so unique. In her hit TV show, Fran Drescher played The Nanny, a character who often took the side of every underdog who entered her life. Such actions can be expected from someone with a Libra Sun and Rising Sign. However, these components also sextile Uranus and this adds a quirky energy to her nature. Notably, Fran was not just the star, but also the co-creator and producer of most of her projects. This business acumen is a product of her tenacious Capricorn Moon. Kate Winslet is a triple Libra! Her Libra Sun, Ascendant and Moon are respectively 10, 11 and 13 degrees– all in the second decan of Libra. The first decan presents the true essence of the sign. The second decan instills qualities of the next sign in the trilogy of Air Elements– in this case, Aquarius. Note how the cubical and compacted facial features of this fixed sign alter the well proportioned features we’d expect from Libra. In the Fall quadrant in the Zodiac circle, Libra begins the process of relating to “the other half of the sphere—the reality that lies beyond one’s personal scope. In the coming month, Scorpio will reveal the real value and meaning of these forces (and other resources) by telling us what to hold and what to discard. To bring the year into completion, Sagittarius will disperse the wisdom of Scorpio’s secret revelations to all—so that we can start a new year of greater creations! These three steps (in this dance of the equinox) brings this year’s cycle of light to an end. In this upcoming quadrant of winter, all lessons of the past are carried forward, so that they can manifest the new birth of life that comes with Spring.